Observation - Moth - UK and Ireland. Description: Attracted to lights near deciduous woodland. Fore-wing length 12mm. A carpet moth, but which one? Attracted to lights near deciduous woodland. Fore-wing length 12mm. 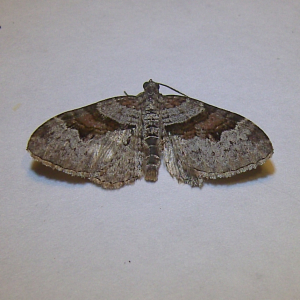 A carpet moth, but which one?